The Treaty marks the political and constitutional involvement and the beginning of British rule in India. 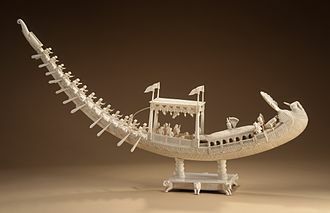 Based on the terms of the agreement, Alam granted the East India Company Diwani rights, thus East India Company got appointed as the imperial tax collector for the Eastern province. These rights allowed the Company to collect revenue directly from the people of Bengal, Bihar, in return, the Company paid an annual tribute of twenty-six lakhs of rupees while securing for Shah Alam II the districts of Kora and Allahabad. 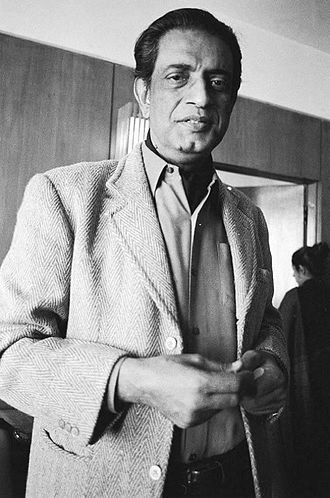 The tribute money paid to the emperor was for the maintenance of the Emperors court in Allahabad, the accord dictated that Shah Alam be restored to the province of Varanasi as long as he continued to pay certain amount of revenue to the Company. Awadh was returned to Shuja-ud-Daulah, but Allahabad and Kora were taken from him, the Nawab of Awadh had to pay fifty-three lakhs of rupees as war indemnity to the East India Company. The Nawab of Awadh, Shuja ud Daulah, was made to pay a war indemnity of 5 million rupees to the Company. British army was engaged in the fighting numbered 7,071 comprising 857 British,5,297 Indian sepoys and 918 Indian cavalry. The alliance armys numbers were estimated to be over 40,000, according to other sources, the combined army of the Mughals and Mir Qasim consisting of 40,000 men was defeated by a British army comprising 10,000 men. The lack of basic co-ordination among the three desperate allies was responsible for their decisive defeat, according to the British and Rohilla cavalry were present and fought during the battle in various skirmishes. But by midday the battle was over and Shuja-ud-Daula blew up large tumbrils, Mir Qasim fled with his 3 million rupees worth of Gemstones and even committed suicide. Mirza Najaf Khan reorganised formations around Shah Alam II, who retreated and he claimed that the three Indian allies suffered 2,000 dead and that many more were wounded. Another source says there were 69 European and 664 sepoy casualties on the British side and 6,000 casualties on the Mughal side. He oversaw the consolidation of British control over much of peninsular India, setting the stage for the British Raj. He was instrumental in enacting administrative and legal reforms that fundamentally altered civil administration, returned to England in 1793, he was engaged in administrative and diplomatic postings until 1798, when he was posted to the Kingdom of Ireland as Lord Lieutenant and Commander-in-Chief. In 1801, he was posted to India. He arrived in July 1805 and died in October in Ghazipur, Lord Charles Cornwallis was a British army officer, civil administrator, and diplomat. His career was primarily military in nature, including a series of campaigns during the War of American Independence from 1776 to 1781 that culminated in his surrender at Yorktown. 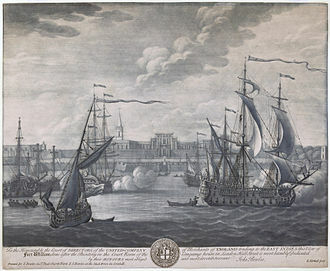 The area encompassed by modern India was significantly fractured following the decline of the Mughal Empire in the first half of the 18th century and its civil head, the Governor-General of Fort William, ranked ahead of those of Madras and Bombay. Cornwallis quickly established himself as a transformational leader, British colonial administration was dominated in the 1760s and 1770s by Warren Hastings, the first man to hold the title of Governor-General. 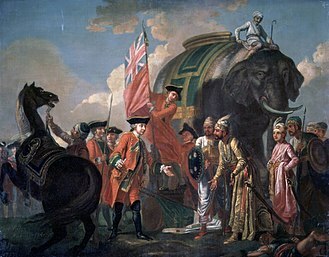 Company policy, as implemented by Hastings, had involved the company in intrigues and shifting alliances involving France, the Marathas, Cornwallis was first considered for a posting to India during the ministry of the Earl of Shelburne in the spring of 1782. 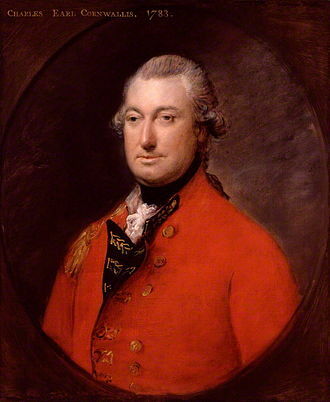 Shelburne asked Cornwallis if he wanted to go to India as governor general, Shelburne was a weak leader, and was turned out of power in early 1783, replaced by a coalition government dominated by men Cornwallis disliked, Charles James Fox and Lord North. Cornwallis, who normally avoided politics, became more vocal in opposition to the Fox-North ministry, with the ascendancy of William Pitt the Younger to power in December 1783, doors to new positions were opened to the earl. Pitt first offered him the Lord Lieutenancy of Ireland, which he politely refused and he made it clear that, were he posted to India, he would want the supreme military command in addition to civil control. When informed that Pitt was agreeable to this demand, he went through a period of soul-searching and this, was not the only troubling issue. When Parliament took up consideration of assignments in India in August 1784, passed over for other military postings, Pitt placated him with the post of Constable of the Tower. After refusing another inadequate entreaty from Pitt to take a post in India in February 1785, departing London in May, he arrived at Madras on 22 August 1786, after a most prosperous and expeditious passage, and at Calcutta on 12 September. 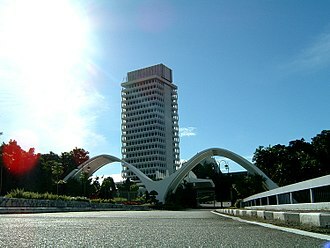 Although he was accorded a welcome suitable to his rank, the acting governor-general and he attempted to reserve for his own use the Government House, which was normally reserved for the governor-general. 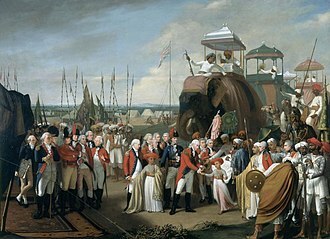 Cornwallis, after having his oaths of office administered, immediately announced his intention to occupy the residence, Cornwallis was charged by the directors of the British East India Company to overhaul and reform its administration in India. 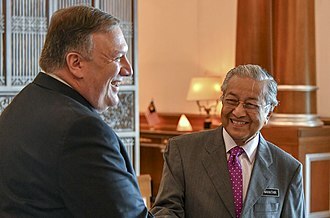 New Imperialism or Neo-imperialism was a period of colonial expansion by European powers, the United States, and the Empire of Japan during the late 19th and early 20th centuries. The period is distinguished by a pursuit of overseas territorial acquisitions. At the time, states focused on building their empires with new advances and developments, making their territory bigger through conquest. During the era of New Imperialism, the Western powers conquered almost all of Africa, the new wave of imperialism reflected ongoing rivalries among the great powers, the economic desire for new resources and markets, and a civilizing mission ethos. 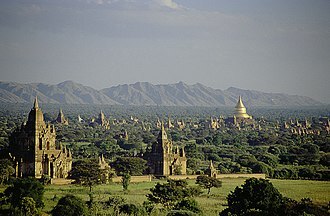 Many of the colonies established during this era gained independence during the era of decolonization that followed World War II, the qualifier new is used to differentiate between imperialism which generally refers to the first wave of European colonization between the 15th and early 19th centuries. 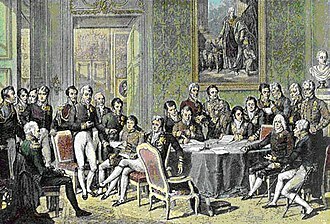 In the first wave of colonization, European powers conquered and colonized the Americas and established outposts in Africa, the American Revolution and the collapse of the Spanish Empire in Latin America around 1820 ended the first era of European imperialism. 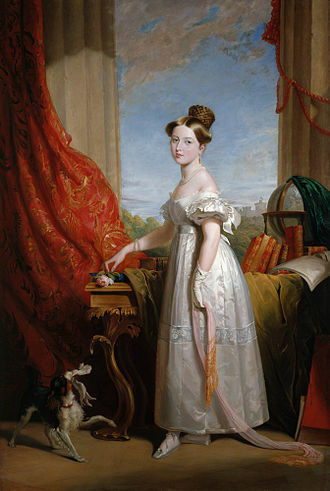 Especially in Great Britain these revolutions helped show the deficiencies of mercantilism, in 1846, the Corn Laws were repealed and manufacturers gained, as the regulations enforced by the Corn Laws had slowed their businesses. With the repeal in place, the manufacturers were able to trade more freely. Thus, Britain began to adopt the concept of free trade, the establishment of nation-states in Germany and Italy resolved territorial issues that had kept potential rivals embroiled in internal affairs at the heart of Europe, to Britains advantage. 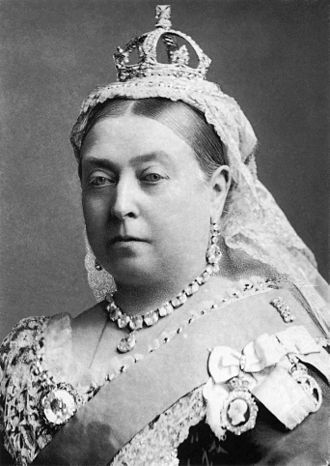 The years from 1871 to 1914 would be marked by an unstable peace. The imposition of rule in terms of effective occupation necessitated routine recourse to armed force against indigenous states and peoples. One of the goals of the conference was to reach agreements over trade, however, of all of the 15 nations in attendance of the Berlin Conference, none of the countries represented were African. The main dominating powers of the conference were France, Great Britain and they remapped Africa without considering the cultural and linguistic borders that were already established. 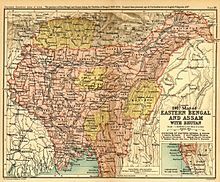 Eastern Bengal and Assam was an administrative subdivision of the British Raj between 1905 and 1912. 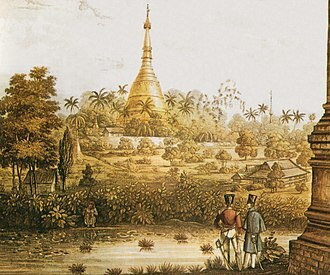 Headquartered in the city of Dacca, it covered territories in what are now Bangladesh, as early as 1868, British administrators saw the need for an independent administration in the eastern portion of the Bengal Presidency. 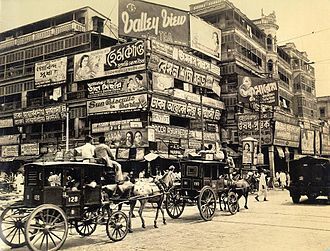 They felt that Fort William in Calcutta, the capital of British India, was already overburdened, by 1903, it dawned on the colonial government on the necesscity of partitioning Bengal and creating prospects for Assams commercial expansion. 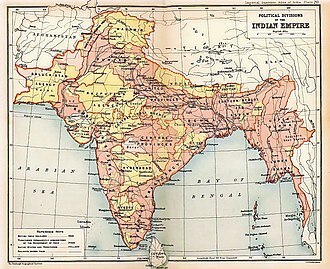 The British promised increased investment in education and jobs in the new province called Eastern Bengal, Lord Curzon, the Viceroy of India, proposed the Partition of Bengal and put it into effect on 16 October 1905. 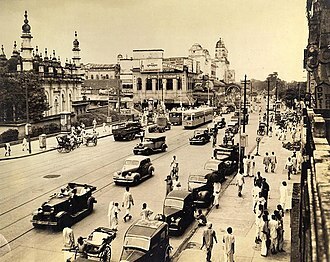 Dacca, the former Mughal capital of Bengal, regained its status as a seat of government, Sir Joseph Bampfylde Fuller was the provinces first Lieutenant Governor. He served for a year in office, and resigned in 1906 after disagreements with Lord Minto and he was succeeded by Sir Lancelot Hare, who in turn was succeeded by Sir Charles Stuart Bayley. 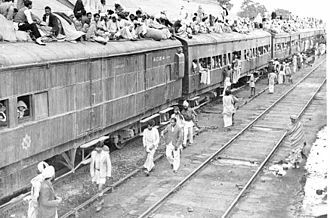 The partition stoked controversy among hardline Hindu nationalists, who described it as an attempt to divide, the merchant class in Calcutta feared losing their economic influence in the region. 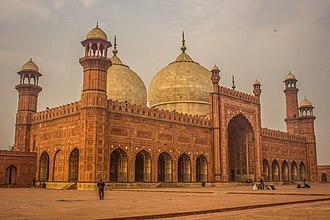 In 1906, the All India Muslim League was formed in Dacca during the All India Muhammadan Educational Conference and this in turn sparked the creation of the All India Hindu Mahasabha. At the Delhi Durbar in 1911, King George V announced that the British government had decided to annul the partition, the move by the colonial government was seen as an appeasement of hardline communal forces. 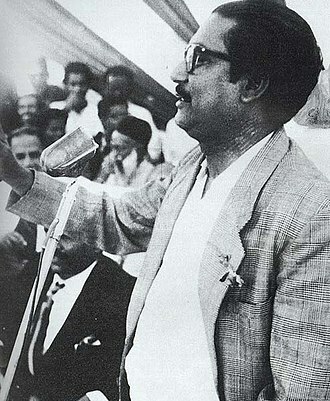 Eastern Bengal was reunited with western Bengali districts, and Assam was made a chief commissioners province, the partition had enjoyed general support among the Bengali and Assamese population in the region. 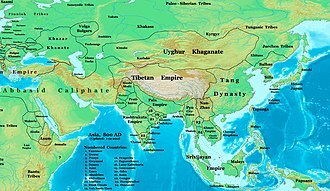 Eastern Bengal and Assam had an area of 111,569 sq m and was situated between 20°45 and 28°17 N. and between 87°48 and 97°5 E. It was bounded by Tibet and the Kingdom of Bhutan to the north, British Burma to the east, within these limits, were the princely states of Hill Tippera, Cooch Behar and Manipur. The Nawabs of Bengal were the rulers of the provinces of Bengal and Orissa. Between 1717 and 1765, they served as the rulers of the subah of Bengal, they were only nominally subordinate to the Mughal Empire. Siraj ud-Daulah, the last independent Nawab of Bengal was betrayed in the Battle of Plassey by Mir Jafar and he lost to the British, who took over the charge of Bengal in 1757, installed Mir Jafar on the Masnad and established itself to a political power in Bengal. 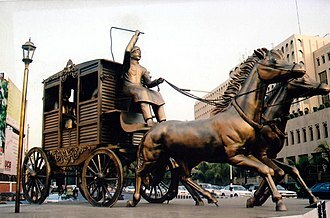 In 1765 the system of Dual Government was established, in which the Nawabs ruled on behalf of the British and were mere puppets to the British, in 1772 the system was abolished and Bengal was brought under direct control of the British. In 1793, when the Nizamat of the Nawab was away from them. The last Nawab of Bengal, Mansur Ali Khan abdicated on 1 November 1880 in favour of his eldest son and they had little or no say in the share of the revenue collected and were ceased to use any force. 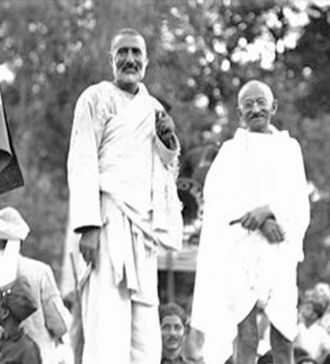 After Indian Independence in 1947 it was declared that the states must accede to either India or Pakistan. 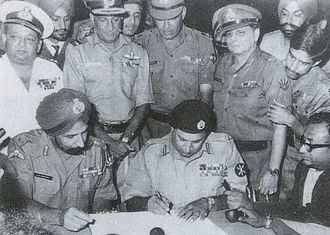 Murshidabad became a part of East Pakistan for two days, as it had a Muslim majority and it became a part of India on 17 August 1947, following which the Pakistani flag was brought down from the Hazarduari Palace and the Indian tricolour was hoisted atop it. After merging with India, they had no power as the Government of India took over all the states in India. 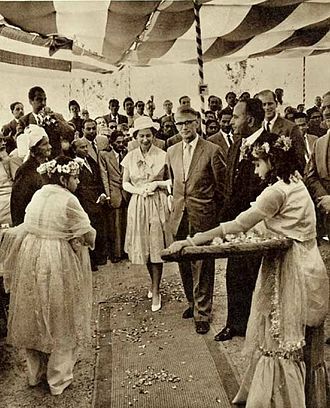 The house of the Nawabs appeared to have come to end in 1969 with Waris Ali Mirza being the last reigning Nawab and with no clear succession. 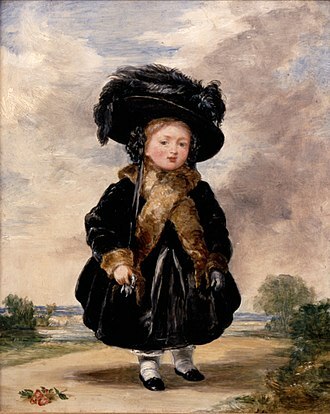 Although he left three sons and three daughters there was no successor to the title after his death because he disinherited one. 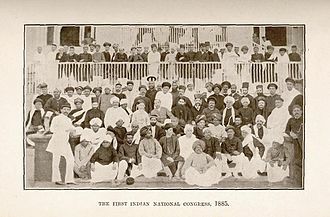 During the first partition of Bengal in the early 20th century a new province, in 1911, East Bengal was reunited with Bengal, and the new provinces in the east became, Bengal Province. 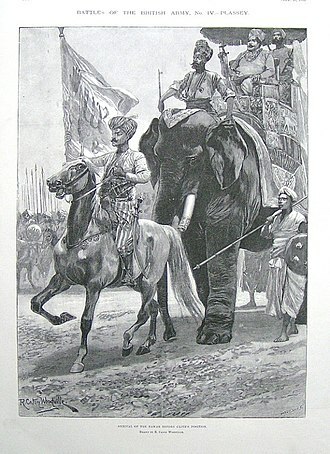 The Nawab thus gained rule over Orissa, which were part of Bengal. The majority of modern Bengal is inhabited by Bengali people who speak the Bengali language, the early Sultans of Bengal ruled until 1282 which was followed by the rule of several successive dynasties. 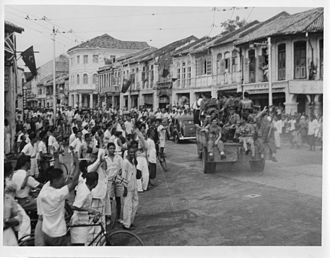 British Royal Marines liberating George Town on 3 September 1945. 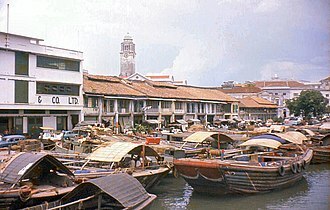 Aerial view of George Town. 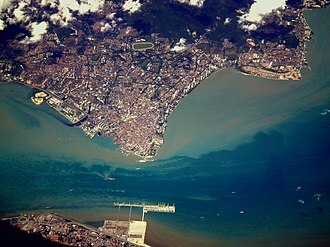 The city is physically separated from Butterworth (bottom) by the Penang Strait. 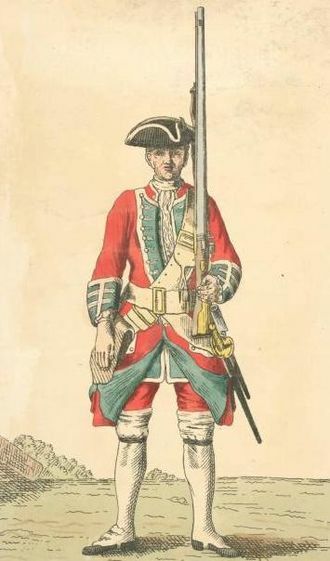 A member of the East India Company. Lord Chelmsford was Viceroy of India. Singapore from St Andrew's Church Spire, 1863.